Finding out 'Lily Munster' was in a Horror movie, you know you have to watch it! What's evident from the beginning is that the film goes for a certain style and it manages to keep that going throughout the films run time. 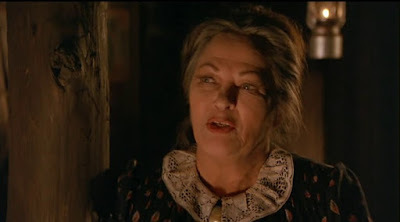 The flicks influence is highly obvious, if you've ever watched "Spiderbaby" then you'll see the comparison but don't let that deter as it manages to capture that film's spirit. The film's casting is brilliant with the much beloved Yvonne De Carlo, Rod Steiger, Michael J. Pollard and more, everyone does a great job of keeping this strange movie and the demented characters are nightmare fuel. Director John Hough had an admittedly patchy career but this is easily a standout he could be proud of, he gave us something that was atmospheric and aimed at a more mature audience than the teen slashers of the decade. 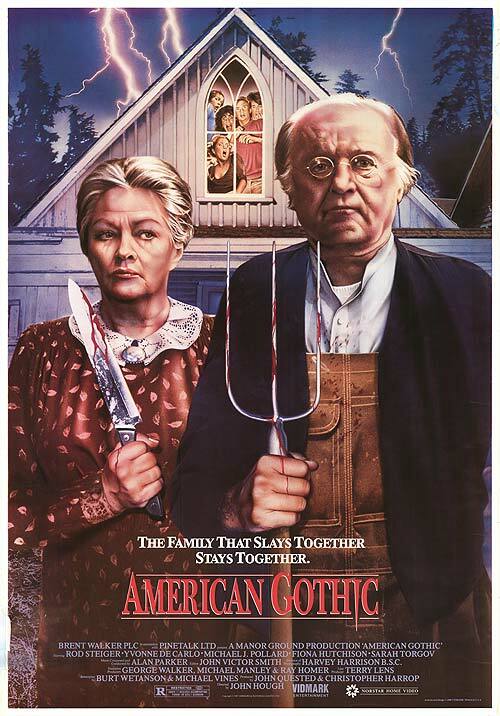 "American Gothic" is a quirky film that's worth a watch, it's definitely one that sticks in your head afterwards. BLAIR WITCH - THE SECRET SEQUEL! Raz's Midnight Macabre 5 Year Anniversary! Evil Dead 2: The Board Game!